Charles Edward Louis John Casimir Sylvester Severino Maria Stuart. While you may think that I am just reeling off random names in some whisky fuelled musing, they in fact all belong to one particular person. A rather famous one in Scottish history at that. Loyalists to the throne scathingly called him the ‘Young Pretender’, but his followers, and indeed most people today, knew him thus: Bonnie Prince Charlie. Although born in Italy, 1720, Charlie was actually descended from British royalty, grandson of the deposed Stuart King James II and VII. From a young age Charlie knew it was his mission and divine right to reclaim the throne. In 1745 he made his move, sailing from France and landing with his companions, known as the ‘Seven Men of Moidart’, on the small Outer Hebridean island of Eriskay to begin the ‘Jacobite Uprising’ and sweep through his ancestral home of Scotland to raise support. ‘What has this got to do with anything?’ you may be wondering. Well, it just so happens that the subject of this review takes its name from the island where Charlie and his men landed: Eriskay. Eriskay, or ‘Eric’s Isle’ in old Norse, is a blended Scotch whisky made from ‘quality Highland and Lowland Whiskies’. While the whisky is certainly Scottish, a closer inspection reveals that it is in fact bottled in Australia for the Ron Rico Distilling Company for sale on the local market. Some cheap blends make no bones about the fact, often sporting rather woeful labelling. The Eriskay is indeed a cheap blend, purchased in this case for only AUD$37, however it’s certainly a cut above its companions in its dress sense. Superficially it looks rather like the label of the Talisker, with serifed lettering and a rather nice map in the background. However, bonnie looks alone do not make the man, there must be substance also. History records that the Jacobite rebellion was doomed to failure, lost through poor battle strategy and politics. Unfortunately the Eriskay is rather similar in this regard. The nose is light and flat, consisting of mostly shortbread, malt and a bit of caramel slice, sweet but fairly unfulfilling. Surprisingly, on the mouth there is an instant hit of smokiness, but it crawls low like the fug after a battle. Unfortunately this is followed up by the dull tang of metal, filling the back of the mouth like a round of musket shot. The finish is sharp, bitter and lingering, much like the remainder of Charlie’s life after his cause was crushed. 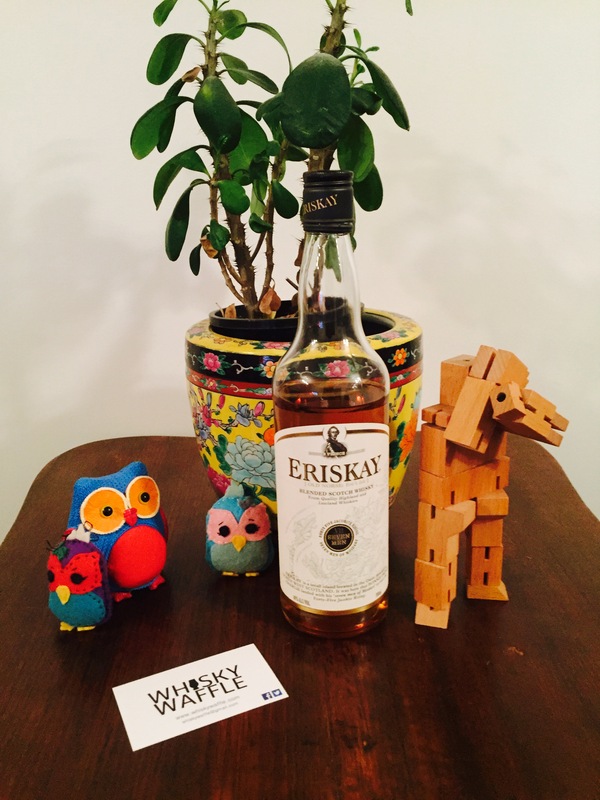 The Eriskay is definitely a whisky that sits squarely within its price range. While it may attract you with the promise of its Bonnie face, it seems that the Loyalists were right, and the Eriskay is indeed a ‘Young Pretender’.